Comic Book Cash, Issue #001 -- One great tip for hot comic book picks! Comic Book Cash #1 -- One Easy Tip for Hot Book Picks! So I was talking to a close friend of mine in the industry the other day about sources for tips on which comic books to buy and sell online for profit. Some of the tips just come via osmosis. You see the volume of people buying and selling them (New Mutants #98 -- first Deadpool -- for example) and you instinctively 'know' that these are a good bet. For years, I have been building a 'tip list' -- soon to be released as a series of eBooks designed to help YOU make more money from comic books. My friend asked me where I got the info from? My answer surprised him -- and it may surprise you, too! Many Tips are Hiding in Plain Sight! "It's a bunch of blowhards boasting about big scores, and talking up their stock in the hopes of selling it for a quick buck." The second part, about talking up stock in the hopes of selling it, seems a bit paranoid to me. It's like saying that anybody who recommends something has a stake in it. True in some cases, certainly not in other cases. Let me give you a couple of examples of how an Overstreet advisor tip has made me money. 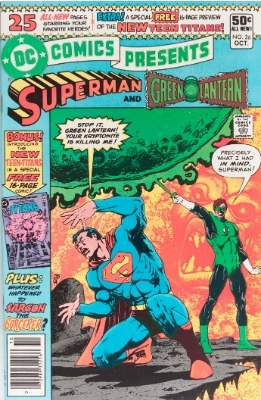 More than one Overstreet advisor mentioned two issues of DC Comics Presents as ones to watch out for. This little-known series is roughly the DC equivalent of Marvel Spotlight or Marvel Premiere: a way to try out second- or third-string heroes, or restart a character after a break, without committing to a full series or reboot. Recently I was suffering from mild buyer's remorse, having paid about $900 US on moving day in Montreal for 28 boxes of early 80s to mid-90s runs of DC and Marvel that the owner was desperate not to have to move (the collection filled his kitchen!). They were bagged and boarded, but nothing was really high grade, more sort of 9.0s to 9.2s, sharp copies but nothing worth troubling CGC with. 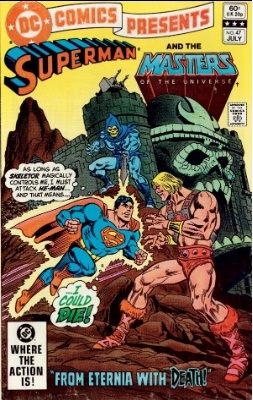 I pulled out all the obvious keys that hadn't been picked over already -- Iron Man 281 and 282, Thor 337, 344, 411 and 412, Superman Man of Steel 17 and 18 and so on (many of these tips from previous issues of Overstreet, by the way) -- and then started the hard slog through 28 boxes in search of something, anything, to get my money out. One box contained a really mixed bag. But as I flipped through this obscure 80s series called (you guessed it!) DC Comics Presents, I began to hear a bell ringing. Where had I heard of these before? A quick check against my investible comics list revealed the info I'd been desperately hoping for. And sure enough, #26 and #47 were both there! Thanks, Overstreet. These go for about $300 in CGC 9.8, and copies are plentiful on the market. There are 38 graded 9.8 and 55 graded 9.6. Given that the issue was published in 1986, it seems quite likely that dozens, if not hundreds, more will come out of the woodwork (I have three raw copies at the moment!). But what about the TRUE first appearance of Psylocke in Captain Britain #8? This book (along with the rest of the series) was tipped in a previous Overstreet as one to watch. Captain Britain has had LOADS of comic book movie rumors swirling around him. This has elevated the Marvel UK-only series bearing his name to new heights. It cost just 10p back in 1976. Over-sized (which means it won't turn up in great shape as often -- more book to get damaged), it was printed on typically cheap UK paper stock. 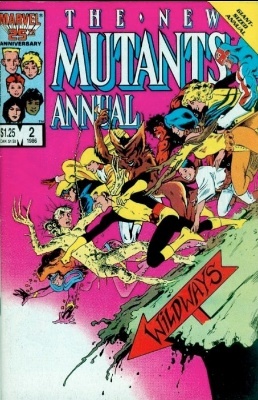 They are turning up on eBay.co.uk, but nowhere near as often as New Mutants Annual #2. CGC has given 9.8s to just 12 copies, with another 22 at 9.6, 14 at 9.4 and 4 at 9.2. This book is ON FIRE! The last sale of a 9.8 was $950. There are so few around that even 8.0s are selling for more than $300. I picked up TWO copies of this book from eBay.co.uk. The first was hilarious -- the seller didn't even mention the issue #, she just listed it as a Captain Britain comic book. Paid about $17 plus shipping for it! The second was correctly identified as Captain Britain #8, but no mention of Psylocke. Because some US buyers are leery of dealing with overseas sellers, the book went for just $83 including shipping. I'd be surprised if the second one doesn't get a 9.6 at least. Again, thanks Overstreet! 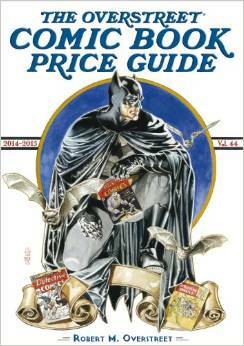 It's really easy (though time-consuming) to make money from your investment in the latest Overstreet comic book price guide. You're going to need 2-3 hours of total concentration. No interruptions. Dedicate half a day of your time to Overstreet's market reports section. You're here to make cash. Each one of these tips could be worth hundreds or thousands of dollars in your 'career' as a comic book buyer and seller. A good investor takes his business seriously. Don't be precious about your Overstreet. It's a tool. You don't sweat it if you scratch a screwdriver while putting up a shelf, so don't treat this book like some future collectible. It's not. It's a price guide, and we're going to make many times our investment in this tool back in profit. If you want a pristine one, buy two copies and tuck one away. Again, think of this as a shortcut to cash. Don't think of this as damaging your precious Overstreet price guide. By the time you're done, you're going to have folded down a LOT of page corners. This makes it so much easier to find these tips later. Can't bring yourself to damage the book? Slip post-it notes into the relevant pages and make notes on those instead. You could simply wait for my eBooks! But making a watch list is important. It helps you get focused at Comic Cons, or when searching eBay for stuff to buy. You'll often be amazed at the vision of the dealers who talked about these books. Are they making money from their tips? Maybe. More likely most of them are just relaying information, which is what Overstreet is about. I'm going to make twenty or fifty times my investment in Overstreet #44 back this year, just based on the information there about Cheryl Blossom. If, like me, you struggle with Archie comics (which issues should you look for? ), then the section (very detailed) breaking out her first and other key appearances will be GOLD. I'm offered Archies all the time, and I simply don't know where to begin. Thanks to Overstreet #44, now I do. One more tip from this year's guide: Canadian price variants are heating up. I was lucky enough to pick up a Bronze to Copper collection recently, and there are dozens if not hundreds of the scarcer Canadian editions in there. I would have let these go too cheaply if not for (you guessed it!) the Overstreet advisors! Click here to get your copy of this year's book, and start making money when you buy and sell comic books online. Please shout this page out on Facebook, Twitter, in an email to your friend, or on your favorite comic book forums and user groups!